Communications technology manufactured by either Huawei or ZTE will not be permitted for use within the US government nor by its contractors. Both companies have been largely frozen out of the US market due to the government’s concerns that its telecommunications equipment represents a threat to US national security, with many departments already prevented from using them. The act also covers products made by a number of other Chinese companies, most related to surveillance, as well as equipment from any firm that the FBI or the Secretary of Defense “reasonably” believes has links to a foreign government. Huawei has always denied accusations of links to the Chinese government and is a supplier for telcos in other countries, including the UK. It is now the world’s second biggest manufacturer of smartphones with its recent P20 flagship receiving considerable critical acclaim. 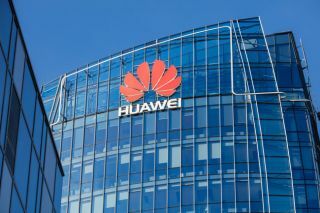 A Huawei spokesperson told TechRadar Pro, “Huawei supports the US government's goals for better security, but this random addition to the NDAA is ineffective, misguided, and unconstitutional. It does nothing to identify real security risks or improve supply chain security, and will only serve to stifle innovation while increasing internet costs for US consumers and businesses." As for ZTE, the Trump administration had personally intervened to stop the company from going out of business. ZTE was slapped with a seven-year ban from dealing with US suppliers for breaching a previous agreement for illegally shipping products to North Korea and Iran. ZTE was obliged to discipline executives involved in the scandal but failed to do so. UK telcos have been warned not to use ZTE network equipment, mainly because this would inhibit British security agencies’ ability to monitor kit from Huawei.